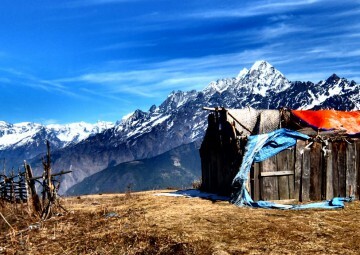 Helambu Village Trekking is an exciting and picturesque trekking region, into the remote land of the Sherpas. The Helambu Village Trekking provides an opportunity to trekkers to witness the rich geography of Nepal in a comparatively short span of time. Traveling through the lush green valleys, beautiful rhododendron forests and magnificent snow capped mountains will definitely captivate your senses. This is one of the most beautiful regions in the foothill, of the Himalayas, which is very close to the Kathmandu valley, in the central Himalayan region. Helambu Village Trekking begins at Sundarijal, and reach as far as Chisapani in and about 4 hours. The unpaved road from Kathmandu turns into trail near a small hydroelectricity plant. The trekking trail then enters through the Shivapuri Watershed and Widllife reserve. As we move on further, we come across the first tamang settlement at Mulkharka. We also meet Sherpa people a bit further ahead on our trail here, but they are different from the Sherpas in Solukhumbu. The Helambu village Trekking offers a wide range of mixed cultures of Sherpa, Tamang and Lama Societies. The picturesque landscape and the old monasteries are the main attractions of Helambu Village Trekking. The combination of Hindu, Tibetan and Buddhist cultures makes this place on of a kind. Helambu village is also popular for apple production. Along the way after Melamchi Gaon, we meet another Sherpa town called Tarkeghyang. This place marks the end of our exciting short trekking trail in this region. Helambu Village Trekking is an ideal short trekking route for trekkers seeking to unravel the mysteries of nature. Trekking through the lush green valleys, beautiful rhododendron forests and magnificent snow capped mountains will definitely captivate your senses. Mountain Tiger Nepal takes you into one of the less crowded regions with the best designed itineraries as per your desires and interest. Drive from Kathmandu to Syabrubesi by private air conditioned vehicle, the starting point of the trek. Behind Trisuli Bazaar the road is tricky because of the grubby road. During the travel you will pass through many small villages, you catch a glimpse of Ganesh Himal, terraces and green hills as well. Trek from Syabru Besi to Lama Hotel which takes about five and half hours. The first part of the trail crosses through Bhote Koshi and follows the Langtang River. This trail is gradually ascent up to Bamboo passing through landslide. 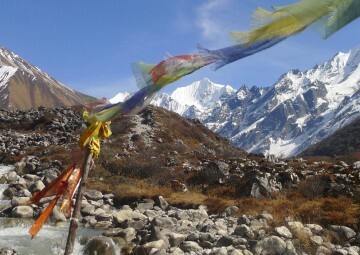 Afterwards, you trek down gently to Rimche through Bamboo which lies at the bank of Langtang River. Today you walk through rhododendron, oak and bamboo forests. Today we trek to our next point, Langtang village (3430m.) via Ghore Tabela takes about six hours. The trip decends towards a steep forest slope of the River-Langtang River. As you continue climbing there are occasional glimpses of Langtang Lirung between the trees. At Ghora Tabela [3000m], the trail emerges from the forest. The trail continues to climb gently and the valley widens, passing a few temporary settlements used by herders who bring their livestock to graze in the high pastures during the summer months. There is a monastery, which you can visit shortly before arriving at the village of Langtang, the headquarters of the Langtang National Park. Today after breakfast, you will leave beautiful Langtang Village and start your trek for around three to four hours to visit Kyanjing Gompa. Kyanjin Gompa is the last destination of your trekking at an altitude of 3870m from sea level. The trail climbs gradually through small villages and yak pastures as the valley opens out further and the views become more extensive. After crossing several small streams and moraines, the trail reaches the settlement at Kyangjin. From here you will have beautiful views of Mt Ganchempo and Mt. 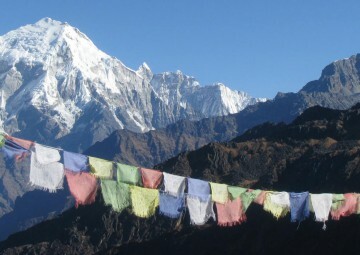 Langtang Lirung. You will visit surrounding area like Yak cheese Factory, Kyanjin Monastery and local houses. Exploration day around natural beauties of Kyanjin Gompa. In the morning if you are interested your guide take you to climb Tsego Ri (5150m) which is one of the good viewpoint. Then visit Langtang glacier and Langshisha Kharka. Then you return back to Kyanjin Gompa for the rest. Today you retract to Lama Hotel from our final destination Kyangin Gompa. Trek to Lama Hotel from Kyangin Gompa to Lama Hotel takes about six hours. From Kyangjin you retrace your route, following the Langtang Khola to Langtang village and on to Ghora Tabela. All the way downhill but you will see fantastic views of towering mountain what you have missed on the way up After lunch, you continue the steep descent to Lama Hotel. Today shortly ascend to Upper Rimche then descend to Langtang Khola and cross the bridge then easy walk to Bamboo then gently descend to Landslide lodge then you may rest there few minutes and ready for climb to Thulo Syabru. After walk for few minutes you meet two trails among which one goes to Syabru Besi and another trail goes to Thulo Syabru. After breakfast, we begin our trek to Sing Gompa. 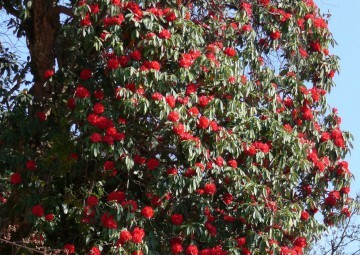 The trail climbs steeply to spectacular views of the Ganesh Himal and goes through giant forests of fir and rhododendron. It provides panoramic views, exhilarating nature and a walk in and around Yak Cheese factory. 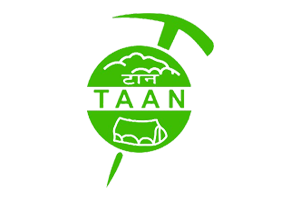 The cheese manufactured here is considered the best in Nepal. It takes about 4 hours to reaching in Sing Gompa. Trek from Sing Gompa to Gosainkunda takes about five to 6 hours. The first part of the trails emerges gently ascent up to Lauribina and the top of Lauribina gives you an exotic feeling. Then the trails steeply ascend all the way to Gosaikunda.You follow a rugged trail with dramatic views; to the west Himal chuli, Manaslu range, Ganesh Himal range, Tibetan peaks and Langtang Lirung. On a clear day, even the Annapurna range can be seen rising up behind and to the north across the valley is Langtang Lirung. The trek today is going to be a bit challenging and exciting. After exploring around Gosaikunda the trial leads towards northern side and climbs up on a rocky trial. Today we start a bit challenging day. We cross four small lakes going through glacier moraines at Laurebina La. On a clear day we can see Annapurna through the way. The trial descends steeply down to Phedi. The trial again drops till Ghopte crossing rocky hills, pine and rhododendron forest. From Ghopte at night you can view the lights of Trishuli Bazaar far below and also the glowing Kathmandu city behind the hills to the west. Today after breakfast we head towards our next point, Therpati. The trial descends from the ridge of Ghopte with numerous ups and downs across ravines and boulders of old moraines. The trial then descends slightly passing through rhododendron, oak and juniper forests up to Tharepati. A steep path rises above the village to a fluttering white prayer flag on a windswept hilltop, offering a perfect panorama of the Langtang Himalaya. After Breakfast we trek to our next point Tarkegyan. From Tharepati our trekking trail hastily descends down a steep narrow valley via beautiful Sherpa village of Malemchi Gaon with comfortable lodges and historical and artistic Gompa. After taking a rest for a while we then head down hill crossing village and Malenchi Khola Bridge leading up the adjacent side of the valley Tarke Gyang; the largest village in Helambu. Today is the day when we take a day rest in this place by exploring the local culture, custom and their typical life style. 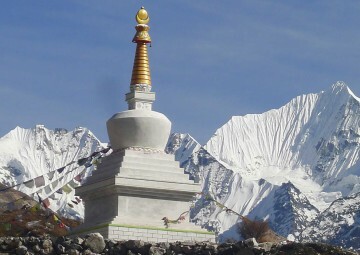 You can enjoy the beautiful Mountain views from there and can also go for a hike to Bagkong Gompa. Overnight at Tarkegang. Today after breakfast we head towards Sermathang. From Tarkeghyang the route takes us down through the beautiful forest up to Sermathang which is well known as an apple growing area. From here the trek is of 4 hrs through the village and jungles. After Breakfast, today we trek from Sermathang following the ridge all the way down to Malemchi Pul Bazaar. The trail passes through many chortens in the settlements of Nigale, Gyalsha, Raithani Gyang. From here we descent through pine forest to yet another chorten at Kakani, which is the last Sherpa village on the trek, and we now enter the lowlands inhabited by Brahmans and Chhetris. From Kakani the trail drops steeply to the attractive village of Dubhachaur. Continuing further down the ridge our trail will eventually bring us to a large suspension bridge which crosses the Indrawati River and brings us into Malemchi Pul. Our vehicle will be waiting for you here. Drive back to Kathmandu after you meet our vehicle. Day 18 Day 18: Final Departure. Our office staff will come to pick up you from the hotel to the airport for your final departure. We wish for your safe and happy journey back to home. All Airport and hotel transfer. Three nights’ accommodation in a star category hotel in Kathmandu. Land transfer from Kathmandu /Syabrubesi and Melamchi Pul/Kathmandu by private jeep. Full board meals (breakfast, lunch and dinner) during the trek. Kathmandu city tours including: all entry fees, tour guide and private vehicle. One highly experienced male guide, porters (1 porter for 2 people) and their food, accommodation, salary, equipment, and accidental insurance for all staff. Seasonal fruits during the trek. Down jacket, sleeping bag, trekking map and other essential equipments (down jacket and sleeping bag are to be returned after trip completion). TIMS Fee- Trekkers’ Information Management System (Please avail us with 2 passport size photos required for your permit). Langtang National Park Entry Permits. All forms of Government taxes. Lunch and evening meals in Kathmandu (and also in the case of early return from the mountain than the scheduled itinerary). Optional tours and activities during free time. 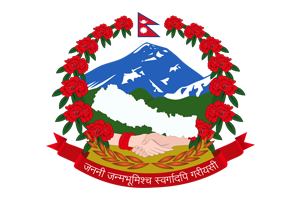 Nepal entry visa: you can obtain a visa easily upon your arrival at Tribhuwan International Airport in Kathmandu. (a multiple-entry tourist visa good for 30 days can be obtained by paying USD 40 or equivalent foreign currency. Similarly, multiple-entry tourist visas for 90 days can be obtained by paying USD 100. Please bring 2 copies of passport-size photos.). Hot shower during the trek. Drinks, snacks and other personal expenses.  Entire Tips for trekking staff and drivers (optional). not invade your inbox too often. ©2016 Mountain Tiger Nepal. All Rights Reserved. Powered By: Vertex Solution Inc.